(Nanowerk News) The origin of chemical elements heavier than iron, such as gold or platinum, puzzled scientists for a long time. Recent multimessenger observations from a merger of two neutron stars (GW170817), and particularly the associated kilonova, shed light on this and confirmed that elements heavier than iron are formed at least in this kind of mergers via the rapid neutron capture process, the r process. 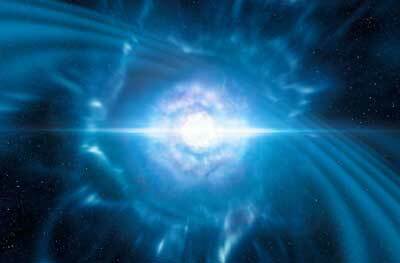 Moreover, the change from blue to red kilonova indicated that also lighter r-process elements were produced, in contrast to expectations of only heavier elements. In order to understand the r process in detail, it is crucial to improve associated calculations by more precise nuclear data. The rapid neutron capture process proceeds along neutron-rich radioactive nuclei, which eventually decay to stable isotopes of chemical elements we have in nature. Therefore, the properties of neutron-rich nuclei, such as their binding energies, are essential for the calculations and what they predict for the abundances of chemical elements produced in different astrophysical conditions. This will be increasingly important in the advent of new multimessenger observations. Nuclear binding energies for twelve nuclei in the rare-earth region have recently been measured in the Accelerator Laboratory of the University of Jyväskylä using a Penning trap mass spectrometer device JYFLTRAP. Six of the studied nuclides were measured for the first time (Physical Review Letters, "Precision Mass Measurements on Neutron-Rich Rare-Earth Isotopes at JYFLTRAP: Reduced Neutron Pairing and Implications for r-Process Calculations"). The results have the highest impact on the abundances of rare-earth isotopes produced in the rapid neutron capture process. With the new, more precise experimental nuclear binding energies, changes up to 25% were observed in the calculated abundances and a better agreement with the observed abundances was achieved. In addition, odd-even staggering in the measured neutron binding energies was found to be weaker than predicted by theoretical nuclear mass models typically used for the r-process calculations. "With the new experimental data, calculations for the nucleosynthesis of heavier elements in different conditions, such as in neutronstar mergers, can be done more accurately. This helps us to better understand how heavier elements are formed in the Cosmos," says Academy Research Fellow Anu Kankainen from the Department of Physics at the University of Jyväskylä.